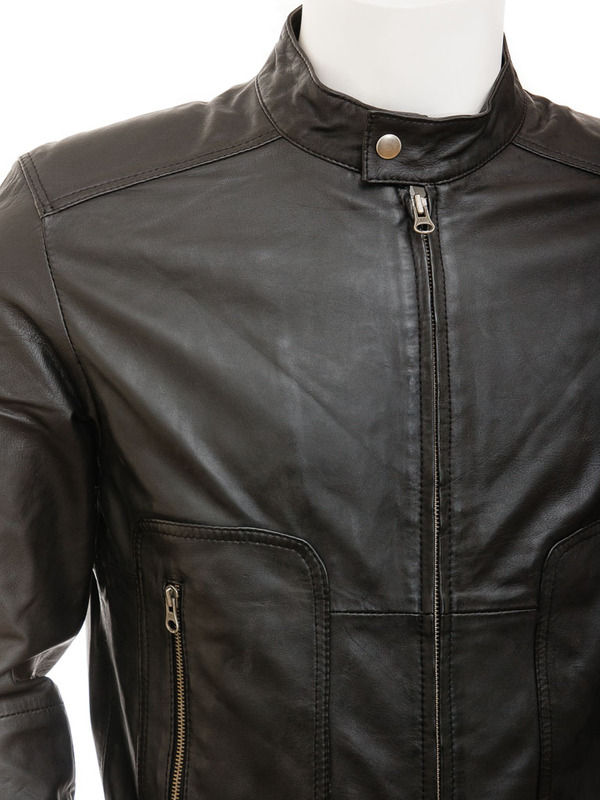 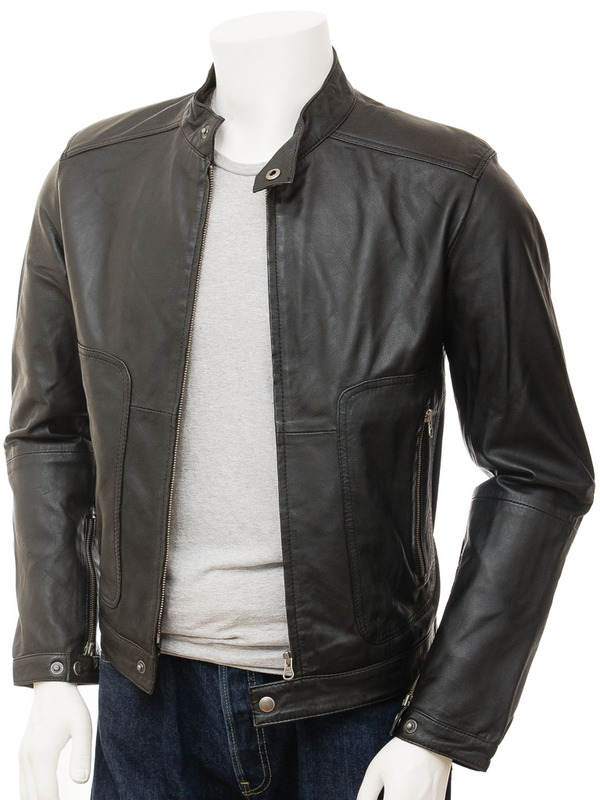 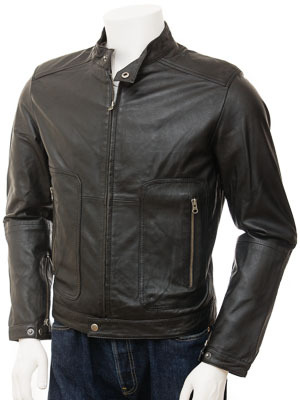 A superb, short, lightweight leather biker jacket in a rich black. 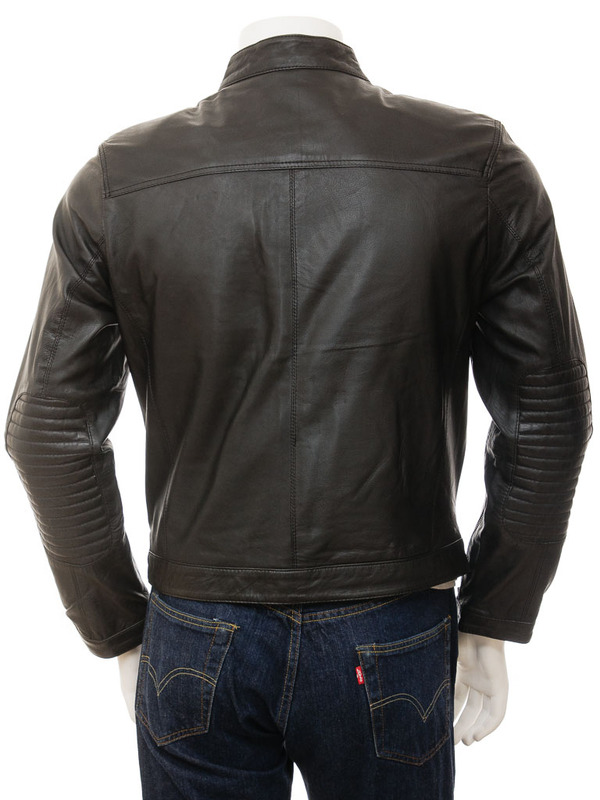 There are quilted leather patches on either elbow while the back of the jacket is plain. 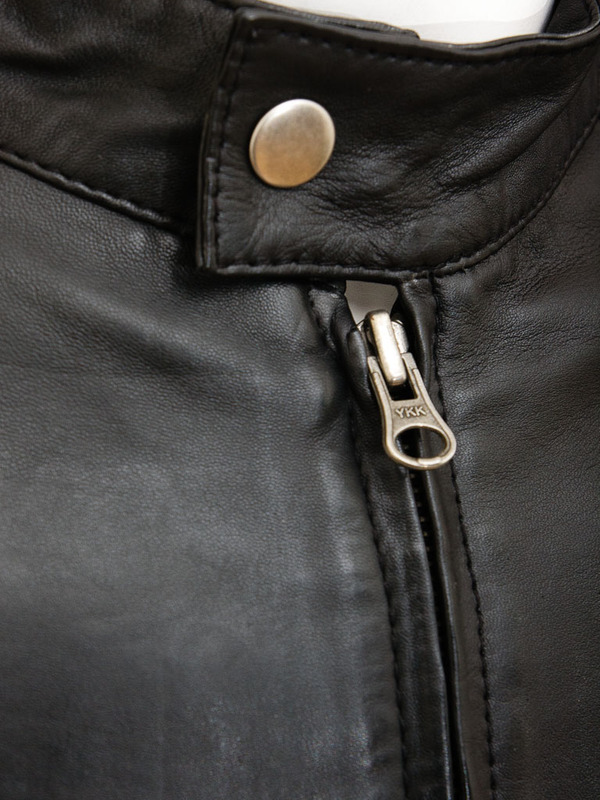 Inside the lining is striped poplin and there are a further three pockets, one of which is zipped for additional security.